Freeze Dryers and Lyophilization Support Services Hull, an SP Scientific brand, designs, fabricates and assembles sophisticated pilot and production freeze dryers, lyophilizers, and associated lyophilization process sub-components under an ISO 9001:2008 registered quality management system. Hull supplies freeze drying equipment to the pharmaceutical, biotechnology, diagnostic and veterinary markets. 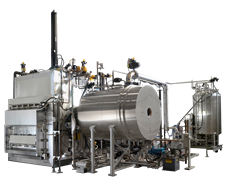 A particular product strength is supplying large custom cGMPlyophilization systems for the production of parenteral and veterinary pharmaceuticals. Hull provides complete project support from design specifications through engineering, fabrication, GAMP 5 documentation packages, installation, service, and parts. Hull's line of lyophilization process equipment includes a broad range of standard and custom freeze dryers, autoloading systems, and process skids. Full System Integration and Factory Acceptance testing, IQ, OQ and SIT documentation packages are offered by Hull in compliance with all applicable regulations.